Standing on the dock of the North Pacific Cannery, on an arm of Canada's Skeena River, all I can see is tranquillity. The still silver waters are a mirror, reflecting the trees and snow-capped mountains of this remote part of British Columbia near the border with Alaska. What's boggling my imagination is the contrast between the serene vista and its reality a century before. In those days a thriving salmon fishing industry centred on the facility, and it would have been a busy, smelly, messy place at odds with the beautiful surrounds. In the days before widespread refrigeration, industrial-scale fishing was about speed and location. In 1889, the North Pacific Cannery was built to handle every aspect of processing the region's sockeye salmon – boats would rush their catch to its dock, where workers cleaned and butchered the fish, which ended up in cans created and sealed onsite. The workers came from different ethnic groups, comprising Japanese, Chinese, Europeans and local First Nations people. Though they were quartered separately, their diversity hinted at the multicultural Canada of the future. 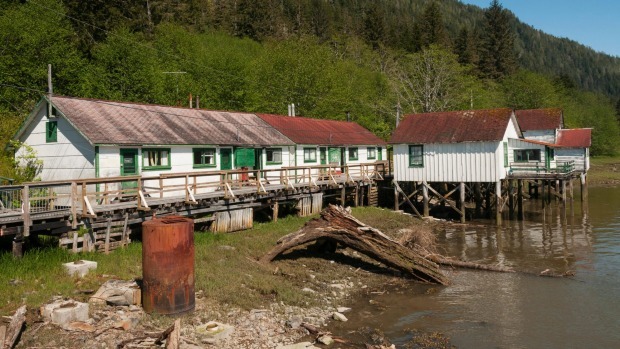 Canning ceased in 1968, and fishing in 1981 – but the complex has been reinvented as a museum, the North Pacific Cannery National Historic Site. There's nothing I like more than an industrial heritage attraction. Travellers have traditionally swooned over the beauty of stately homes and soaring cathedrals, but an industrial museum allows a glimpse into the lives of everyday people, and the technology that made possible their often difficult jobs. This cannery is a fine example, largely intact from its heyday. Its focal point is the main building where canning took place, right down to the final touches of packaging and labelling. Signage explains the equipment still in place, and how it worked. This area connects to the vast working dock where the catch was unloaded, a space of nearly 4000 square metres that would have seen frantic activity. Nowadays it's a great vantage point from which to enjoy the riverine scenery, and leads to the former machine shop and net loft that can be visited on a guided tour. At the other end of the complex, smaller buildings are strung out on stilts along a timber walkway. These served the human needs of the business, including workers' quarters and offices to manage their affairs. The multi-ethnic workforce lived in segregated bunkhouses, dependent upon the company for the necessities of life. Signage explains how workers would buy supplies via a coupon system, to be tallied up against their pay at the end of the season. The highlight of this section is the Mess House that once fed workers, and now feeds visitors. It's a cheery informal space with tables bearing red and white tablecloths, standing on bare wooden boards. The highlight of the menu is the salmon chowder, a tribute to the fish which were once landed here by the ton. 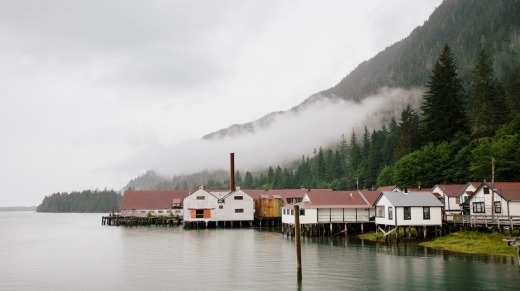 The North Pacific Cannery lies 20 kilometres south of Prince Rupert, the regional hub and a major port on a beautiful harbour. The city has a number of attractions worth seeing, including the Museum of Northern British Columbia, with a fine collection of First Nations art; and the Kwinitsa Railway Station Museum, celebrating the Grand Trunk Pacific Railway that reached the city in 1914. To my mind, the most moving attraction is another connected to fishing. Under a protective shelter above the waterfront sits the Kazu Maru. This small fishing boat washed up nearby in 1985, after its owner had tragically lost his life off the coast of Japan. It's a reminder both of the perils of working at sea, and of Canada's links across the wide Pacific Ocean.